It’s easy. Fill in your details and we’ll let you know how we can help. 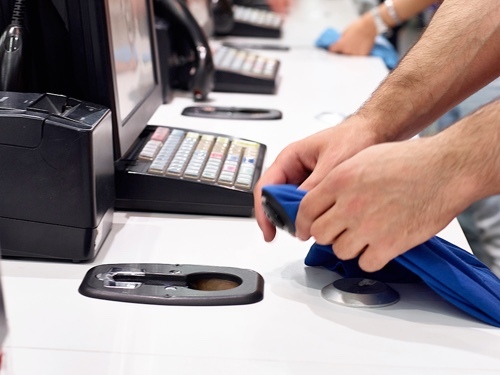 Watch how easy it is to walk in to a shop and buy a tag detacher. Watch a shoplifter try to remove the Concept Tag, injuring himself and damaging the garment in the process. Concept Tag was produced following five years of dedicated research and development, the final two years of which saw JD Sports help test and perfect the technology. 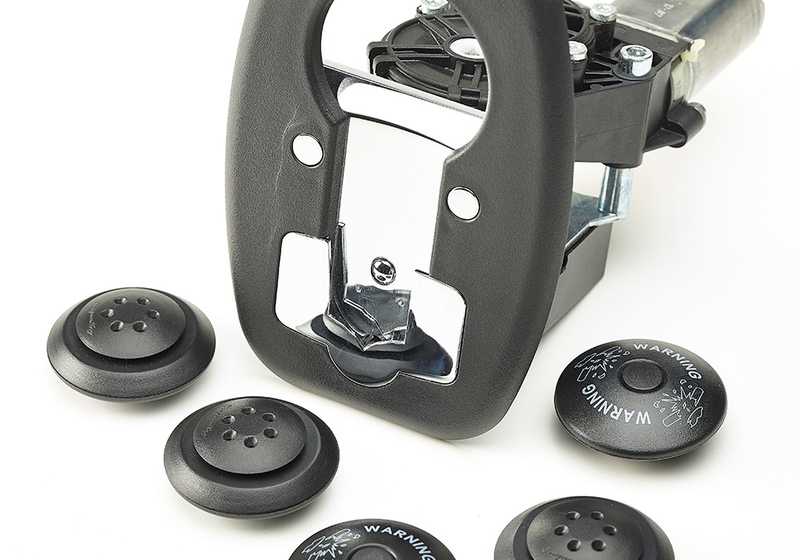 The 18-month testing phase saw several improvements made to the Concept Tag’s design. 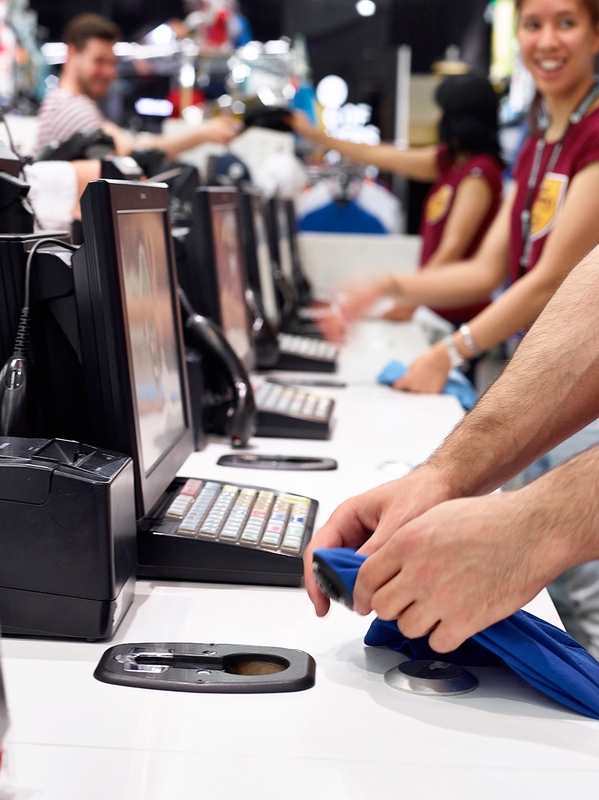 15,000 were deployed in the retailer’s store in Stratford, London. As a result, illicit tag removal was totally eradicated and criminal activity was moved away to other stores. Subsequently, JD Sports installed the tags in its flagship store on London’s Oxford Street. When measured against an average store, losses were reduced by 50%. But this is no average store; with over 35,000 sq ft spread over three floors, 65,000 Concept Tags were in use. Following this, the Concept Tag was rolled out to seven flagship regional stores in the UK. Like-for-like results saw losses reduced by 66%. Now, the Concept Tag has reached Australia and New Zealand, with JD Sports bringing ‘the world’s most secure tag’ with them as they open up their first set of stores on the continent. 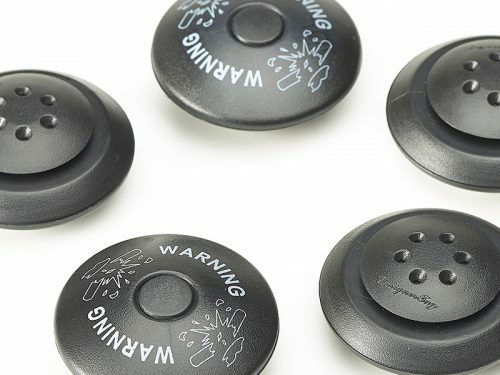 For years the apparent ease with which security tag releasers can be bought on the internet has resulted in a dramatic increase in retail stock loss. Many retailers are reporting that losses directly resulting from this tactic are increasing rapidly, with some disclosing figures as high as 30% or more. This hasn’t been helped by high profile TV shows highlighting how easy it is to get hold of these detachers. Now, the revolutionary design of the Concept Tag will reverse the problem of “illicit tag removal”, and is the most exciting advance in EAS tagging for over 30 years. The Concept Tag has a locking mechanism that’s removed in a totally unique way. 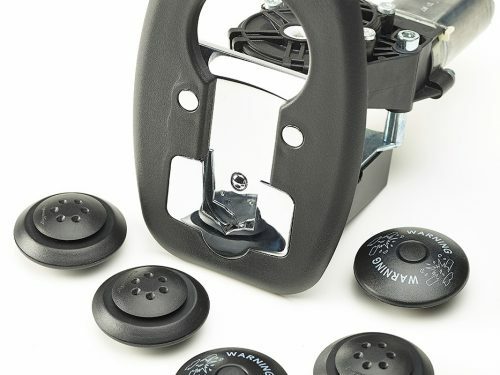 It’s almost impossible to replicate the way in which the security tag is removed; trying to force the tag off would require more than 50kgs of pressure. It’s simply not possible to put this amount of pressure through an implement such as a screwdriver whilst holding a tag. Such attempts result in damage to the garment or potential injury to the thief. 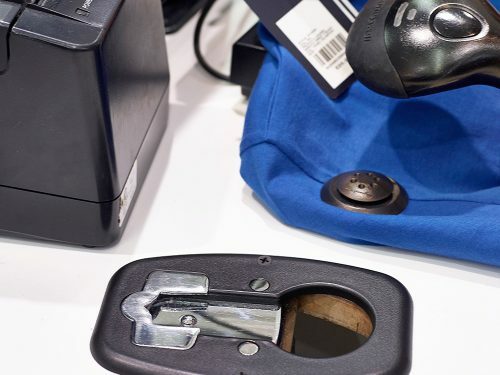 Most retailers agree that the main benefit of using RFID technology is to improve inventory accuracy; making more stock available in store usually results in an uplift in sales. 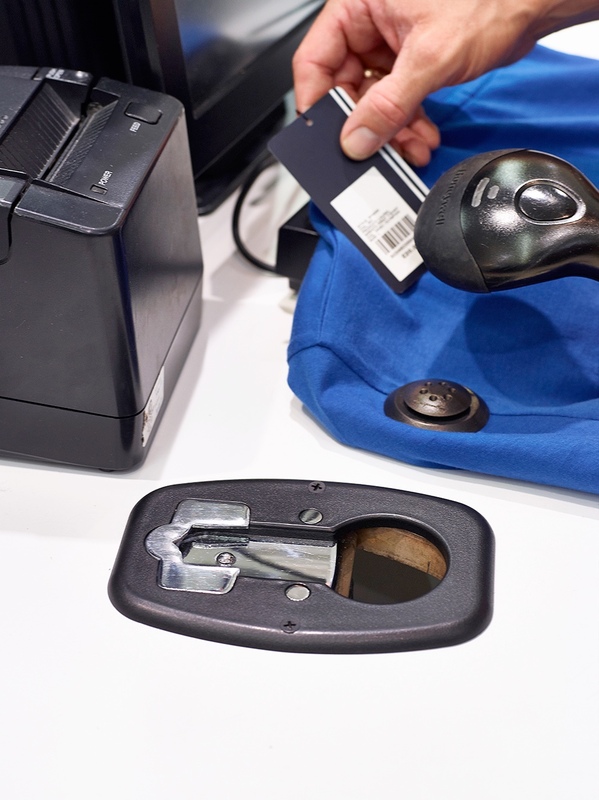 The integration of a reprogrammable RFID chip – combined with the proven reduction in losses it delivers – makes the Concept Tag the only hard tag secure enough to effectively combine both technologies in a cost effective way, reducing the time needed to deliver ROI. 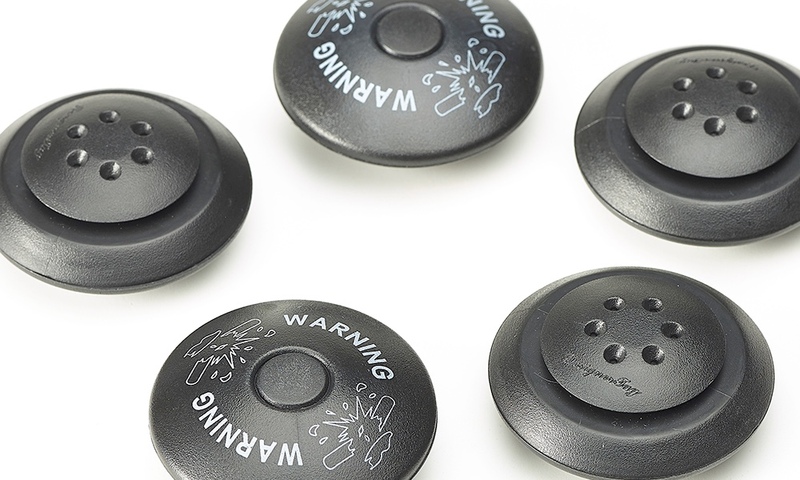 January: Development starts on a better, more secure design of security tag than currently exists on the market. January: Version 1 of the Concept Tag is tested, with 15,000 tags being installed in JD Sports’ store in Stratford, London. October: After initial on-site testing at JD Sports, further enhancements are made to the Concept Tag. June: The 18-month trial with JD Sports concludes, with ‘Version 2’ of the Concept Tag being developed. July: Further revision is made to the unique design of the Concept Tag. ‘Version 3’ is produced and 65,000 are installed in JD Sports’ flagship UK store on Oxford Street, London. 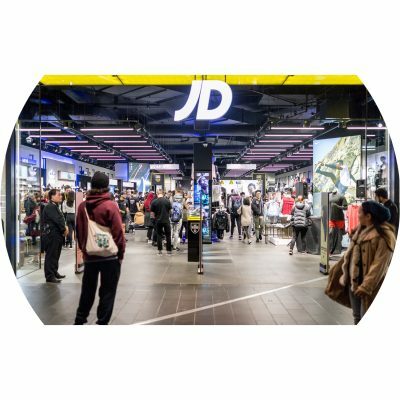 September: The Concept Tag is introduced to JD Sports’ flagship stores in London’s Oxford Street, Manchester’s Trafford & Arndale Centre and Birmingham’s Bull Ring, as well as Glasgow, Stratford, Newcastle, Amsterdam, Nice, Marseille and Lyon. January: After further successes, JD Sports decides to install the Concept Tag in all of its stores. This rollout is estimated to take two to three years. April: Major fashion retailer River Island trials the Concept Tag in the UK and the Netherlands. June: Major German retailer installs the Concept Tag in its first stores. October: The Concept Tag wins the ‘Best Newcomer’ Award at the 2016 Retail Fraud Awards, the award that recognises the most exciting new product in the retail fraud arena. November: Spanish fashion retailer installs the Concept Tag. December: Global American brand installs the Concept Tag in its first stores in the UK. January: High-end British department store chain installs the Concept Tag in its first six stores. March: River Island completes 12-month trial of the Concept Tag, reporting reduction in tagged garment theft of 60% in their biggest UK store. May: International retailer based in Turkey starts using the Concept Tag. August: The Concept Tag reaches Australia, with the device being shipped for installation at JD Sports’ eight new stores Down Under. The Concept Tag has now been installed in 20 countries worldwide, just two years after launching. Agon Systems predicts the 10 millionth Concept Tag will be shipped in late 2017. The new Concept Tags have been a godsend. My branch was experiencing almost daily problems with stock being de-tagged by offenders, but since the changeover to the new Concept Tag we've not had one reported incident of stock being de-tagged or tags found defeated. Because the tags are that secure, double tagging is not required. National retailer - Trafford, Manager with 20 years’ service. The new Concept Tags are excellent. They’re a much better deterrent than the previous tags. Having managed a number of large stores in the group, I would often find defeated tags, which would be very frustrating in that I couldn’t identify what stock was actually missing and where my resources needed to be placed. Since using the Concept Tags in my current branch, we have found no tags that have been defeated. National retailer - Newcastle, Manager with 13 years’ service. The idea of the new Concept Tags is brilliant; the fact that any shoplifter who’s coming in with a de-tagger will not be able to de-tag any stock is reassuring. Within a few weeks of using the Concept Tags we’ve seen a significant decrease in theft. I think people are put off by the fact that even if they manage to steal something, they won’t be able to take the tags off without damaging the product. National retailer - Stratford, Manager with 9 years’ service. Since using the Concept Tags none have been found removed from stock. Before using the Concept Tag in my current store staff were continually reporting damaged tags being found. I’m aware that other stores in the Midlands are still suffering from mysterious losses whereby undamaged or in some cases damaged tags have been discovered. The tags are having a positive impact against those in possession of de-taggers. 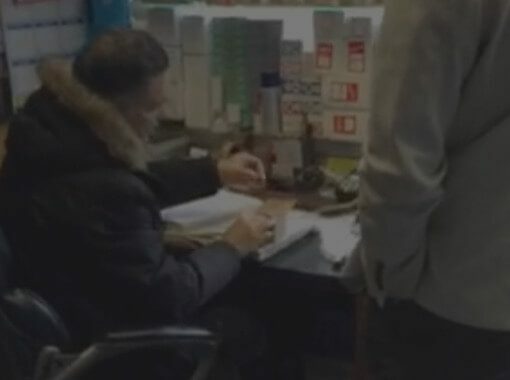 National retailer - Birmingham, Manager with 11 years’ service.